Will Power: Shakespeare in Song (Capitol Hill)KING FM 98.1 - Classic Radio Inc. | KING FM 98.1 - Classic Radio Inc.
Pacific MusicWorks Underground and Capitol Cider present a new way of experiencing great music, along with great food, drink, and company and our signature Underground multimedia show – all in the heart of Capitol Hill. William Shakespeare’s incomparable poetry and powerful insights into the human condition have influenced artists and musicians for over 400 years. 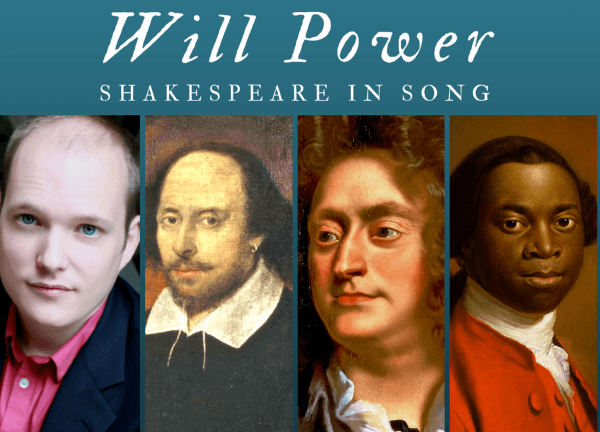 Tenor Zach Finkelstein joins the Underground House Band for a program of Baroque music with words written by and inspired by the Bard, featuring works by Henry Purcell, Ignatius Sancho, Thomas Arne, and more. Admission is $25 (only $15 ages 21-30) and includes $7 off any house beverage. Capitol Cider is just one block from the Capitol Hill light rail station and the Seattle Central parking garage. The Ballast Bar is ADA accessible. Ages 21+.